The Pazdan family truly lives charity. Their community leadership and support of the healing mission of the St. Francis Foundation spans generations. Parents and children have served on boards and provided comfort and inspiration to the community, not for recognition, but because "there was a need to support a community-based hospital that was providing healthcare services to the community in a way that was more than just based on medical practices." 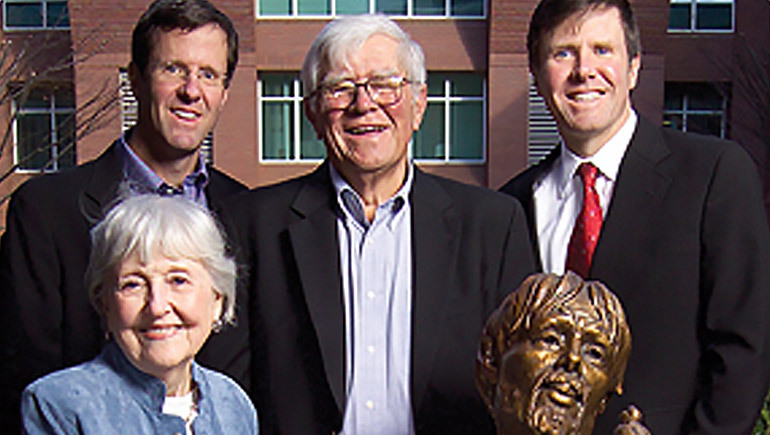 Recently, the five grown children of Mack and Joe Pazdan donated a statue of St. Francis of Assisi to the health system in honor of the great work done by their mother over the years. It was her work and her husband's that inspired their children to continue this stewardship into their own lives. And as they look to their own children, this next generation of community leaders hopes that "by example, be it the St. Francis Health system or some other calling, I may be setting a good example for my children to feel the need to get involved with something."